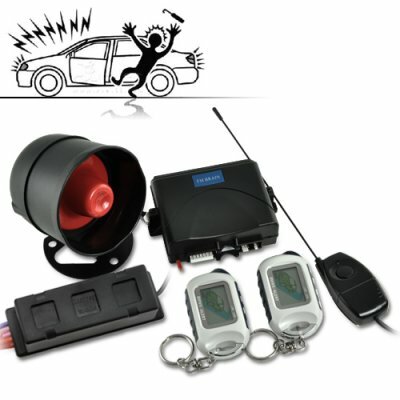 Successfully Added 2-Way Car Alarm Security System (Luxury Edition) to your Shopping Cart. Did we mention, this comes with a Low Wholesale Price? Just google "2 way car alarm", and you will find that similar high-tech car security systems are selling for well over $200 USD. We are able to bring you the same quality product but at a fraction of what you would pay for those "named brands" because with Chinavasion you are getting it directly from the China factory source. So if you just bought a new car or own a car that is irresistible to thieves, don't delay, click "Add To Cart" button right now and we will ship out this car security system to you within 24-hours. The CVRE-A47 is available only from the original China Electronics Wholesaler - Chinavasion.